Bringing the Vampire Facelift Out of the Shadows: What Exactly is a PRP Facelift? Home/Blog / Bringing the Vampire Facelift Out of the Shadows: What Exactly is a PRP Facelift? What if there was a natural, completely counterintuitive way to reduce facial wrinkles and scarring to regain the bright, smooth appearance of your youth? If your first response was “that sounds impossible,” you’re not alone—the platelet rich plasma (PRP) facelift is one of the most cutting-edge innovations in cosmetic procedures and has a significant amount of mystique surrounding it. Only adding to the PRP facelift’s aura of mystery is its nickname of The Vampire Facelift. Fun fact: Many attribute the garish nickname to Kim Kardashian, but it was actually coined by a cosmetic surgeon in Alabama! Whatever name you refer to this treatment by, it is certainly a cosmetic procedure that will appeal to the cool and collected beauty connoisseurs seeking a natural way to obtain a more youthful appearance without injecting any foreign substances into their skin. Initially, the procedure occurs similarly to some facial peel procedures in that the patient’s face receives a generous application of numbing cream. While the cream is being administered, blood is also taken from the patient’s arm and then put into a centrifuge to separate the platelets from the red blood cells. From there, the machine rapidly rotates to separate out the platelets from the red blood cells. In the case of a vampire facial, platelets are needed because they’re high in growth hormone and their injection into the skin via microneedle stimulates skin regeneration, and additionally promotes the production of new skin cells. Besides the cool-sounding nickname, patients get to enjoy a boost in their physical vitality that’s wholly thanks to their body’s own natural platelet production. After the numbing cream takes effect, the procedure takes just 20 minutes, and results can last for up to 18 months! 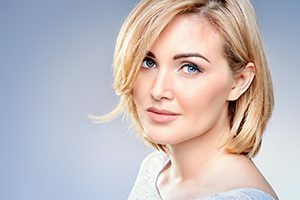 The PRP facelift is also less invasive than a traditional facelift, meaning that recovery time is significantly shorter and patients enjoy a more youthful look sooner. What exactly do you mean by “significantly shorter” recovery time? There is no catch—patients who elect to have a PRP procedure can expect to have their recovery time shortened by several weeks in comparison to those who elect to have a traditional facelift. Just like with any facial procedure, the PRP Facelift does have common side effects immediately post-procedure. These can include temporary bruising, mild swelling, skin irritating, or itching depending on an individual’s skin sensitivity. It may also be advisable to avoid make-up such as foundation and some skin creams in the day or two immediately following the procedure, as this is when skin will be the most sensitive. All in all, the typical patient can expect to begin seeing results within a few days, and your skin will thank you for months to come with a rejuvenated and brightened appearance! Setting up an appointment is as easy as picking up the phone or walking into our office—our team is always ready to answer any questions you may have about the procedure, and we love seeing new faces at the practice! Call today to set up your initial consultation and learn more about our cosmetic services—a PRP facelift could be just the beginning!